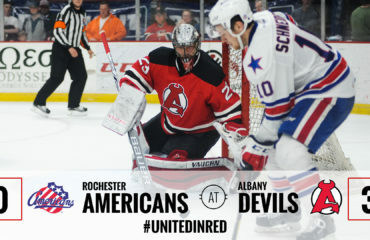 ROCHESTER, NY – Miles Wood, Joe Blandisi and Rod Pelley each scored as the Albany Devils extended their winning streak to three games, defeating the Rochester Americans, 3-1, Wednesday at Blue Cross Arena. With 20 saves, Scott Wedgewood registered his 50th career AHL win and fifth of the season. 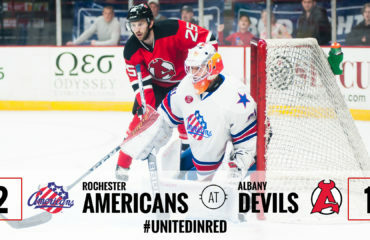 The Devils, who have won five consecutive games against the Americans, pushed their shutout streak in the series to 321 minutes and 45 seconds before Rochester broke through during the final seconds of the middle frame. 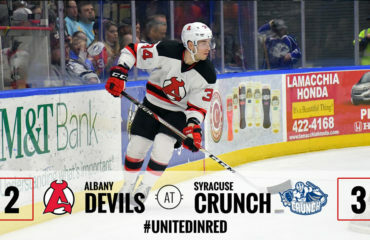 Albany, which is in the midst of a stretch of five consecutive division games, improved to 6-1-0-0 against the North Division and 9-4-0-0 overall. Rochester moves to 7-7-0-0. Wood registered his first career goal to start the scoring at 18:11 of the first period. 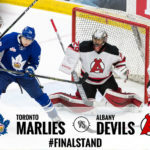 Karl Stollery skated the puck below the goal line and sent a pass through a crowd in front and found the Devils’ rookie atop the crease. 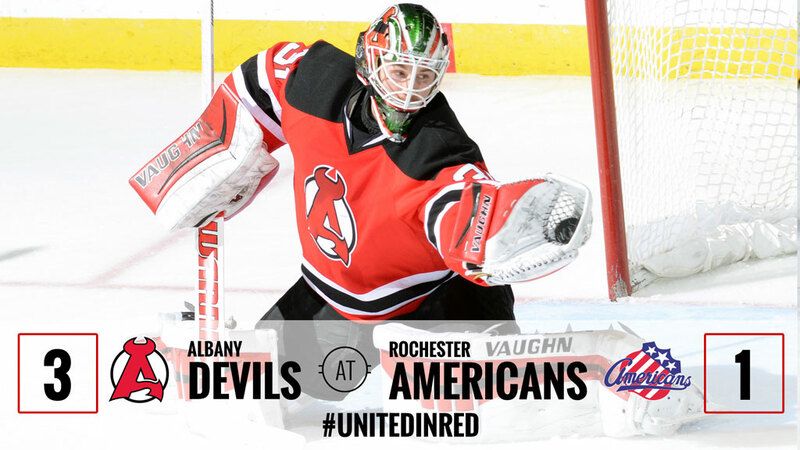 The goal marked the eighth time the Devils have scored first; they are now in 7-1-0-0 when doing so. In the second, Blandisi pushed the Devils’ lead to two off an odd-man rush at 11:00. 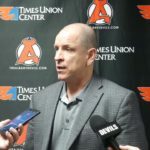 Reece Scarlett forced a turnover in Albany’s end and John Quenneville fed Blandisi in the offensive zone for his fourth goal of the season and third in as many games. Additionally, Blandisi has five points during that same stretch. 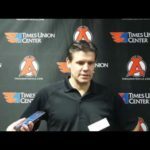 Rochester’s Tyson Strachan made it a one goal game at 19:36 of the same period, ending the five-plus hours of scoreless hockey against Albany. 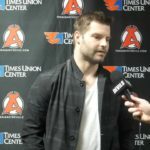 Pelley capped the scoring with an empty-net tally at 19:01 of the third. The tally extended the captain’s goal streak to three games. 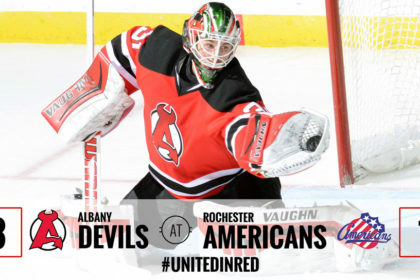 Next up, the Devils travel to face the Binghamton Senators Friday at 7:05 pm. 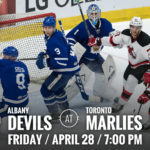 Fans can follow the action on 104.5 “The Team” ESPN Radio or online at ahllive.com.